Do you believe that God has a plan for everyone and everything? Often times while we may not know with distinct clarity what God’s plan is for our lives, if we are diligent in our prayers and truly seek the Lord’s guidance, your plan will be revealed to you. Wright Way Ministries has prayed and sought the Lord’s guidance and in doing so, we have been lead to provide for others who are in need within our local community. There are so many people who need the simple basics of life to survive and more importantly, they need to know that someone cares about them. We realize that this effort cannot be successful without your support and we are asking that you consider contributing to this effort prayerfully. We need your help! Your donation will be shared with local homeless shelters, hospitals, nursing homes, children’s group homes, prisons and wherever else a need is made known to this ministry. Regardless if your donation is big or small, every little bit helps. 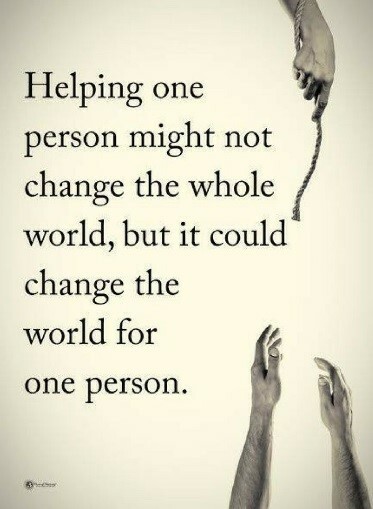 It is a wonderful feeling to help others in need. Wright Way Ministries is prayerful that you will consider making a donation towards making someone feel good and giving them a reason to smile. God Bless and thank you in advance. Wright Way Ministries is a 501c 3 organization dedicated to the work of the Lord.